The applied arts thrived under the Mamluk Sultanate, a dynasty that ruled Egypt and the Levant, from Cairo. This helmet is the oldest known example of a Mamluk helmet and one of the most refined samples of Mamluk metalwork of this period. ...listing the name and title of Sultan al-Nasir Muhammad ibn Qalawun, who reigned from 1293 until 1341. The nose guard could slide down. Feathers were originally affixed on both sides and the top of the helmet. 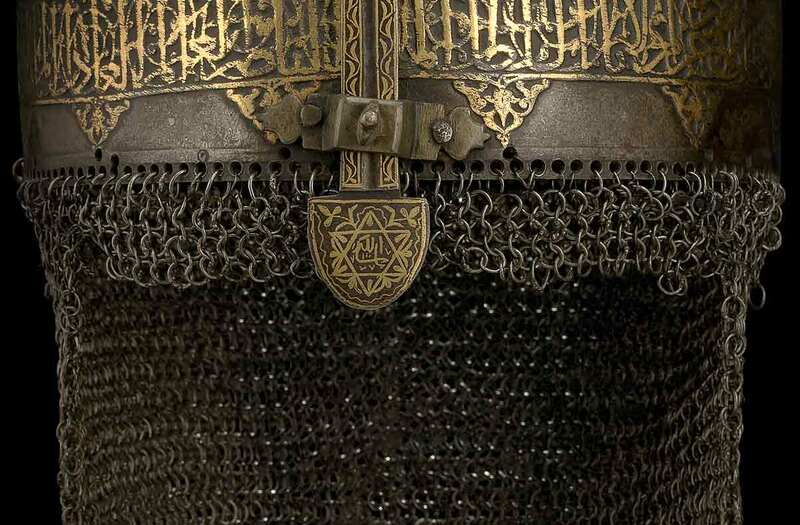 Come see this object with your own eyes in our collection Art of the Islamic World.